If you have suffered the loss of one or more of your teeth due to injury, gum disease or other ailments, dental implants are available to help you get back your perfect smile. Dental implants work by replacing the tooth root and providing a strong foundation for a new replacement tooth. Your new tooth will be impeccably matched by the team at 14th Floor Dental to flawlessly blend in with the rest of your natural teeth. Dental implants look and feel like your own teeth. They are fused to the bone and feel like your natural teeth. Since the implants are permanent, it makes chewing and eating easier and gives you the added confidence that comes with not having to worry about implant sliding. Your natural teeth are in no way altered to support your implant. Dental Implants will look and feel like your own teeth. Because they are fused to the bone, they become a part of you. Do I Have to Worry About My Implant Falling Out? No, one of the biggest benefits of choosing a dental implant is that it is permanent. The implant is secured directly into the bone that held the natural tooth in place. Because the implant becomes a part of your bone, it also stabilizes the surrounding teeth. Dental implants will also help to stop the deterioration of bone density that can accompany tooth loss. These benefits cannot be found with other replacement options. 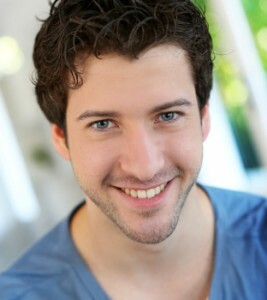 Because it is permanent, it allows you to gain back your confidence and your perfect smile. Doctor Larson and his team at 14th Floor Dental are highly experienced in restoring dental implants. Call today to have them help you replace the missing pieces to your smile!